From SLC head South on I-215 and take exit 4. Turn left at the bottom of the ramp, then turn left again on Wasatch Blvd. 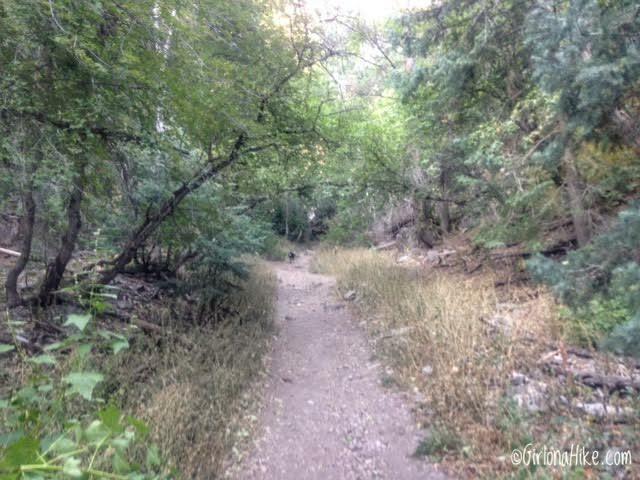 At the next light, turn right, which will lead you into Millcreek Canyon. Drive past the fee station (fee collected upon exit), and just past the Millcreek Inn, is the Desolation Overlook TH parking lot on your right. 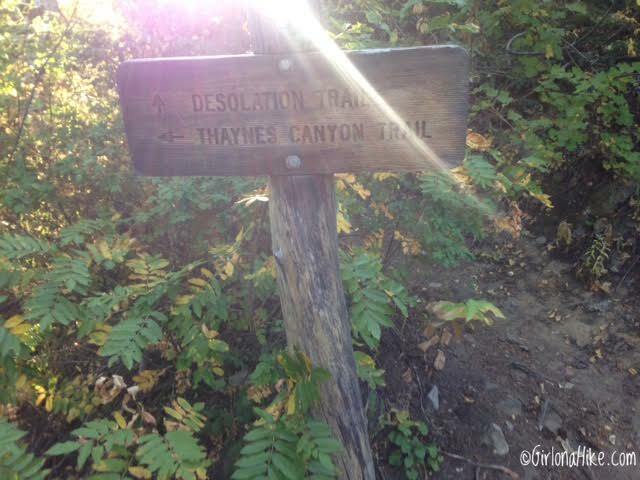 This is also where the Thaynes Canyon trail begins. There is one restroom. Here is a map link. Fees/Permits? 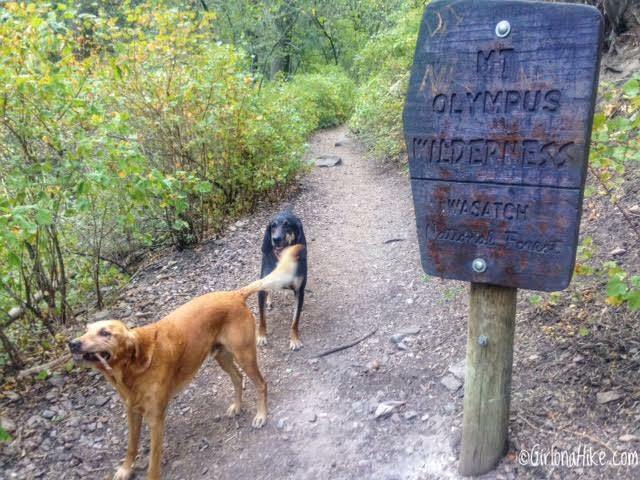 There is a $3 fee upon exit, of FREE if you have an Annual Millcreek Canyon Pass. 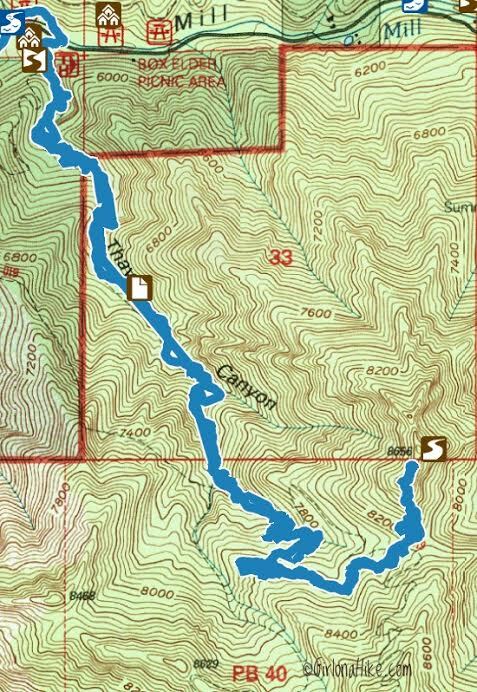 The National Park Pass, Mirror Lake Highway, nor American Fork Canyon passes are accepted. 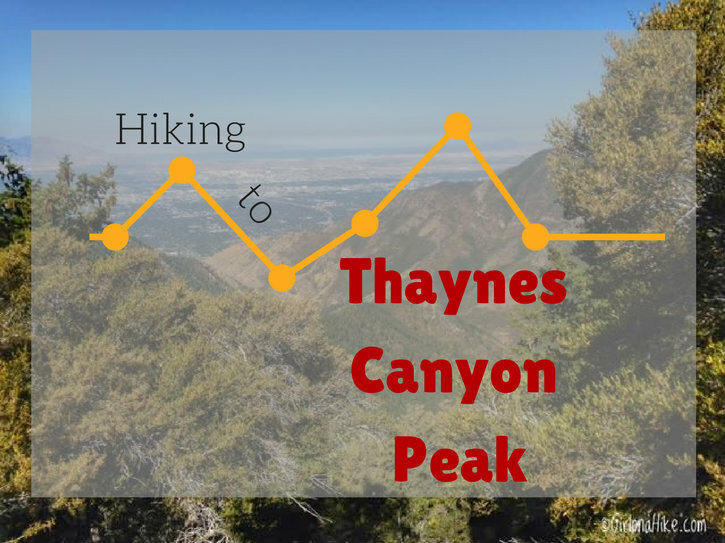 Thaynes Canyon Peak starts at the Desolation Trail (another great overlook to hike to!). 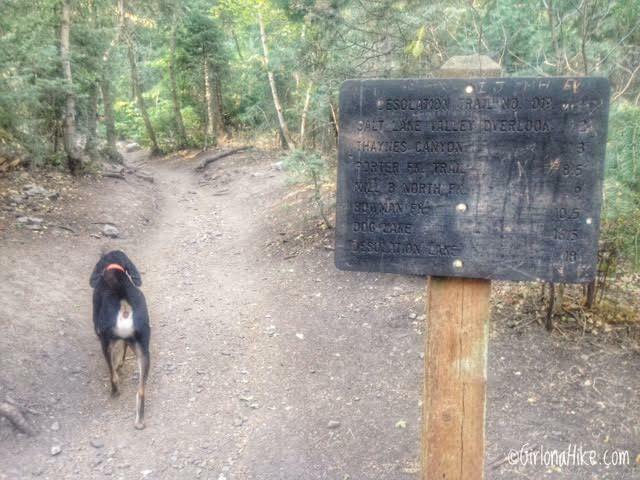 You'll pass this large sign with all the surrounding trails and mileage listed. And then you'll pass one more sign - stay left. 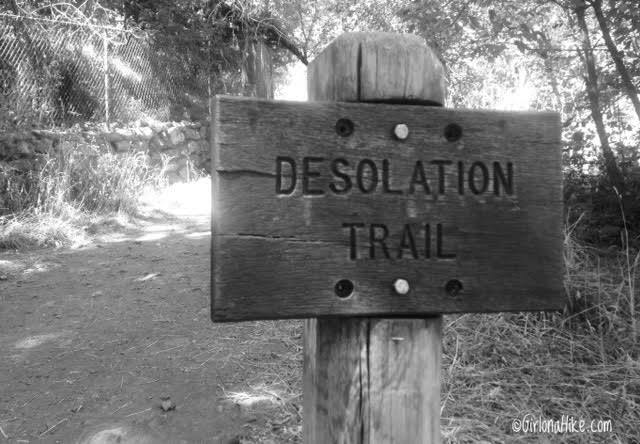 Going right will take you to the Desolation Overlook. In the beginning, the trail is very wide and well traveled. 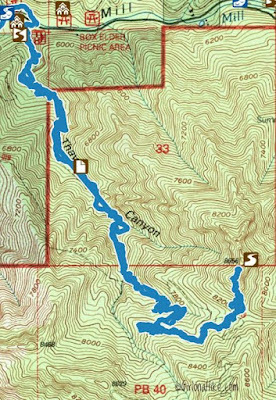 You'll see several trails going to the right - those all connect back with the Desolation Trail. Stay left at every trail split for Thaynes Peak. 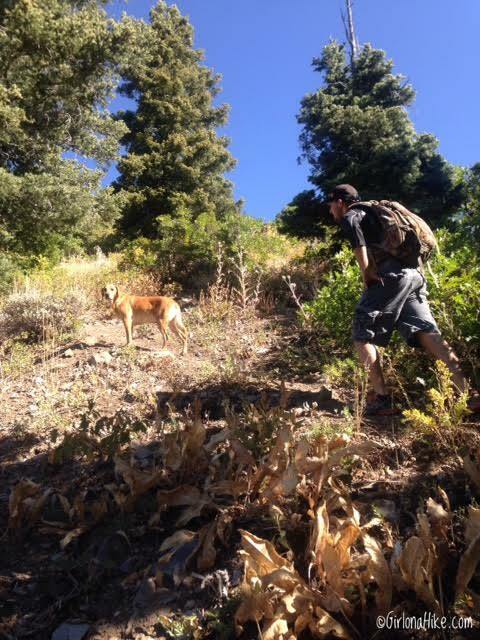 This is also when the trail becomes really steep. Last signed trail split. 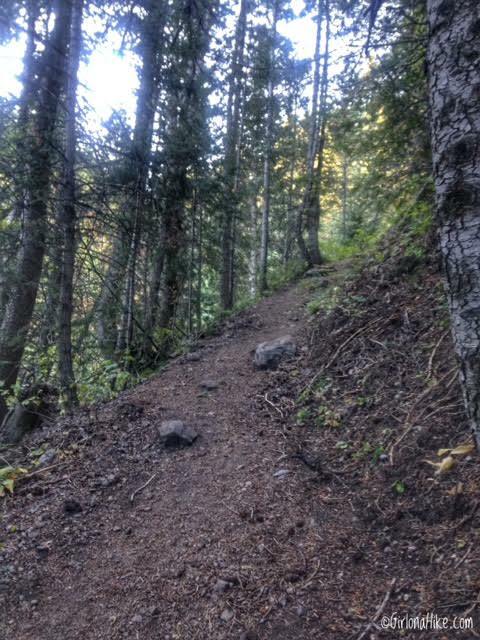 Make sure you stay left at every trail split. 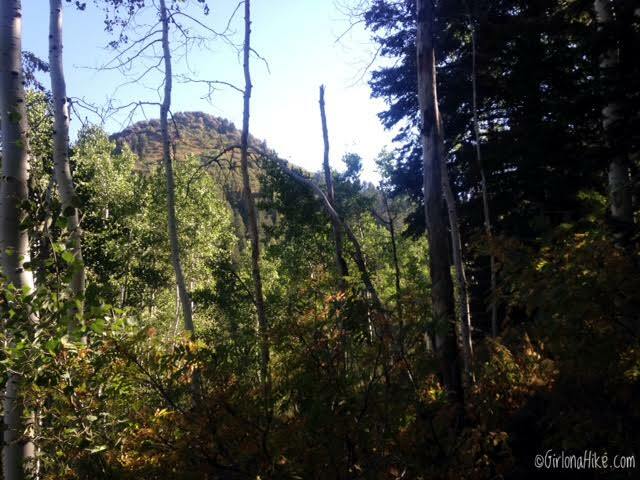 We could finally see Thaynes Canyon Peak through the forest. Not too much further! Once you reach the saddle, go left again. The last 200 ft up the peak are the steepest yet - hiking poles will be very helpful here. Once it seems like you are on the first high-ish point, go about another 100 yards. 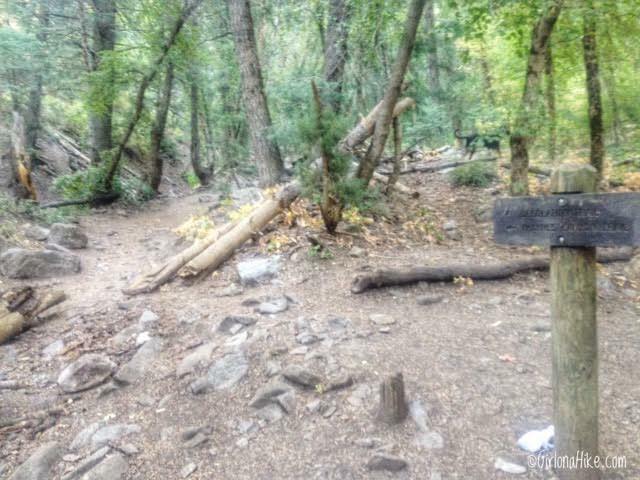 You'll have to find your way through scrub oak, but there will be a summit register hidden in some rocks to sign! Enjoying the view looking SE at Gobblers Knob to the left, and Mt. Raymond to the right. 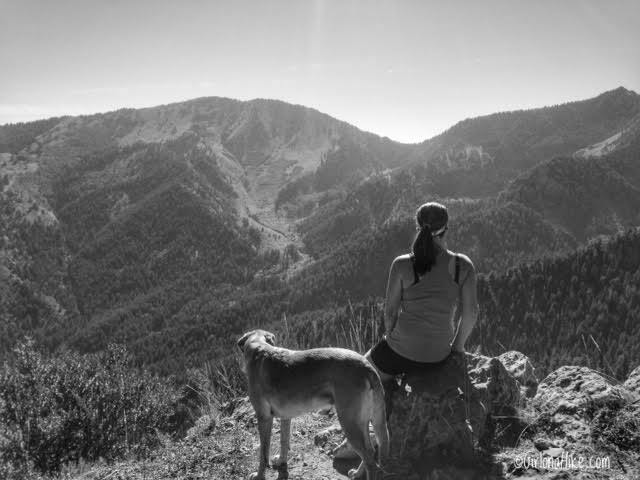 It took us 2 hours 12 minutes to reach the summit, and I felt we were moving at a slower pace on this day. Here's my route from my Gaia GPS app. 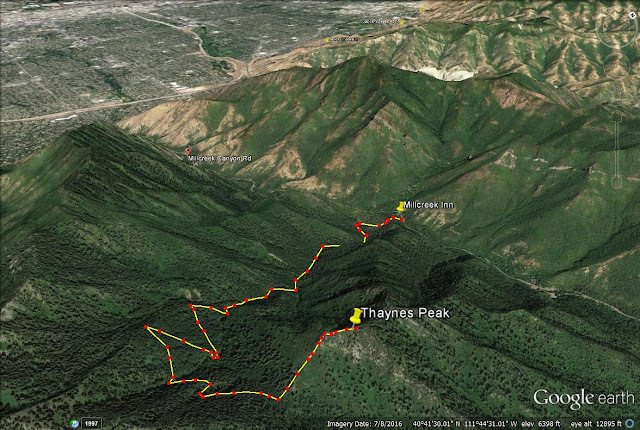 Trail map to Thaynes Canyon Peak, looking SE. Thanyes Canyon Peak trail looking North. 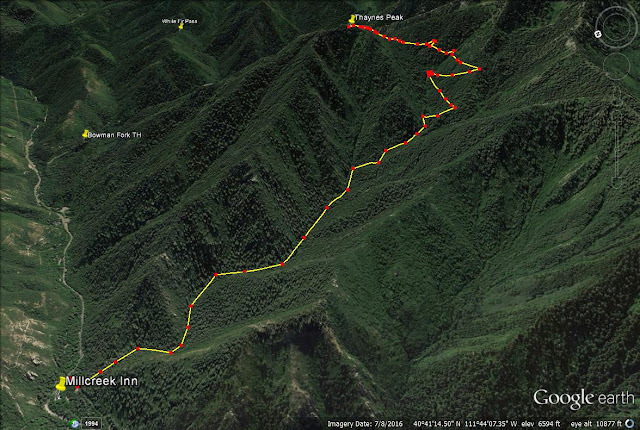 I want to do this hike soon I can bring a little notebook or paper. Is there one of those cases to store the paper in so it doesn't get water damaged? Speaking of that, Mt. Raymond has one of those round containers like Mt. Murdock but it needs a new lid or a new container because the lid is missing and there was an old t-shirt shoved in but that won't keep the moisture out...it also needs a pen and a notebook/paper. 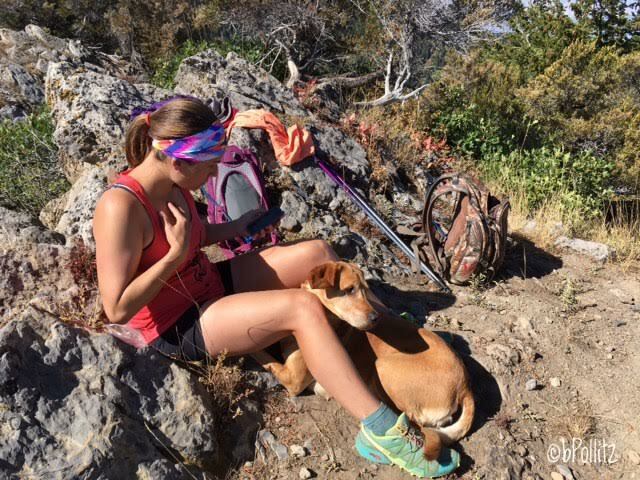 Alicia, I read that at areas along Thaynes Peak, people's legs get scratched - how was it when you went? 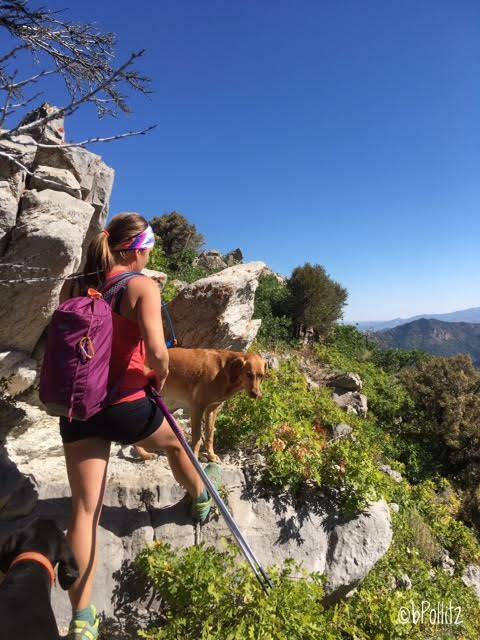 Were you fine in shorts or do you think light hiking pants would have been nice? Thanks! I keep meaning ask about your hiking shoes. With the peaks you tackle and all the rock, I'm surprised you don't wear boots. The rocks don't bother the bottom of your feet?